Kingman Historic Theatre: Transformers: Age of Extinction is showing this weekend at the Kingman Historic Theatre! Transformers: Age of Extinction is showing this weekend at the Kingman Historic Theatre! 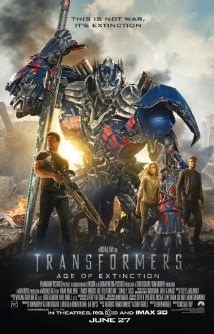 This weekend the Kingman Historic Theatre will be showing Transformers: Age of Extinction at 7:30 P.M. on Friday (July 11), Saturday (July 12), and Sunday (July 13). This movie is rated PG-13 and stars Mark Wahlberg, Nicola Peltz, and Jack Reynor. Check out the Transformers: Age of Extinction trailer. The Friday showing of the movie will be free to the first 265 guests courtesy of Kanza Bank and Citizen's Bank.